Monopoly Tycoon. Runs on Windows 98/2000 /XP. Can'em with a cinema, bag'em with a supermarket, scoop'em with an ice cream parlour or hook em with a fishmongers! Includes Original Manual. "We're all worms. Let's Act like Worms! 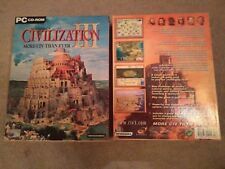 Civilization III - More Civ than ever - US Big Box Pc Cd-Rom. 16 playable civilizations and each has its own strengths and bonuses. Powerful new diplomatic system, new units, new wonders. Runs on Windows. Contains Original Manual. It is possible we have what you're after but it is still in our queue to be listed. Now begins Abe's new'est and greatest trial. Oddworld Abe's Exoddus! Abe's Exoddus. Runs on Windows 95/98. Original Manual on disc. Very good condition for the age of the item and nature. Disc has minimal marks and manual is lovely and clean. Ideal for any collection and hard to part with. Any questions please ask me and I will send you an email back. Condition is Very Good. User manual is included on the CD-Rom. Imperium Galactica Pc Cd-Rom. The Universe is yours. if you can handle it. The fourth millennium. Mankind has colonised the galaxy. Created an Empire. Now, it is crumbling. The aliens are restless. MASTERS OF ORION 3 for PC-CD. COMPLETE WITH WITH ORIGINAL BOX, 2 DISCS, MANUAL & KEYBOARD REFERENCE CARD. ALL IN VERY GOOD CONDITION OVERALL. WARGASM - ORIGINAL RARE BIG BOX EDITION. In 2065, the world's military forces were transferred to the World Wide War Web in an effort to eliminate bloodshed. All the countries, whether they be a superpower or in the Third World, were justly represented. Sim City & Populous for IBM PC 3.5" in Big Box by Infogrames Europe, 1991. Condition is Good. Dispatched with Royal Mail 2nd Class. BATTLESHIP 2. 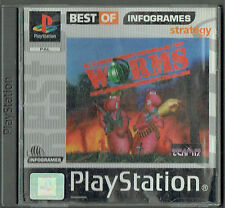 SUPERB STRATEGY/ARCADE GAME FOR THE PC!! The tide has turned against you. Only decisive action will bring you victory. Your fleet is in tatters, your defences are broken. You count as the front line - and the last line of defence. The odds are stacked against you, but with skill and courage you must launch devastating blow against a seemingly unstoppable enemy. Direct X 7.1 or higher. Hdd: 600mb. Cpu: PII 233mhz. ROLLERCOASTER TYCOON THE ORIGINAL GAME. SUPERB STRATEGY/SIM GAME FOR THE PC!! Are the rides too expensive?. Have you built enough food stalls?. Do your amazing rides have a habit of breaking down too often?. Want to build an empire without all the usual bloodshed?. PICTURES ARE OF THE ACTUAL ITEM.THIS IS IN GOOD CONDITION. In Imperium Galactica 2 Alliances, you lead an entire empire. Your mission; To conquer the galaxy. Trade and spy with other cultures, or prepare an invasion force to increase your territory. Play through three separate story-driven campaign, multiple scenario's or against your friends. In very good and used condition. Will post on or within 2 working days from payment. Please pay within 3 days or item will be relisted. UK mainland only. KKND2: Krossfire for PC CD-ROM and compatible with Windows 95 / 98. Finally, a formidable computer opponent to challenge the smartest cagey old vet. Battle an AI that probes your defenses, retreats, sets ambushes, and even attacks from multiple fronts. 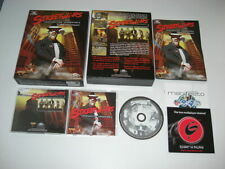 Outer Box - Very Good Condition with just light wear. Disk - Very Good Condition. Family Collection Monopoly, Cluedo Risk II Strategy Game PC CD ROM World Post! 5 out of 5 stars - Family Collection Monopoly, Cluedo Risk II Strategy Game PC CD ROM World Post! 2 product ratings2 product ratings - Family Collection Monopoly, Cluedo Risk II Strategy Game PC CD ROM World Post! Civilization III: Play the World - Expansion Pack. 0 Multiple Areas Titles can be either NTSC (generally if they originate from the US) or PAL format(EU). Sourced directly from the manufacturer or distributor of the original release. RegionCode: - Number Of Discs: -. 5 out of 5 stars - Civilization III: Play the World - Expansion Pack. 1 product rating1 product ratings - Civilization III: Play the World - Expansion Pack. Sim City & Populous for IBM PC 3.5" and compatible with MS-DOS. Very Good (VG) More than one or two slight defects. Still in collectible condition. Ending Soon. New Arrivals. Useful Links. IMPERIUM GALACTICA II ALLIANCES. In Imperium Galactica 2-Alliances, you lead an entire empire. Your mission; To conquer the galaxy. Play through three separate story-driven campaigns, multiple scenario's or against your friends. Cluedo Murder at Blackwell Grange PC CD ROM - System Windows 95/98. Impreium Galactica as per picture. Civilization 3 - Complete PC Big Box Game - Infogrames. New and sealed!